Since 1991 he has run Prometheus Consulting, a research-led practice specialising in leadership, organisation development, change and learning. His work draws on principles from systems thinking and the new sciences of complexity and chaos theory. 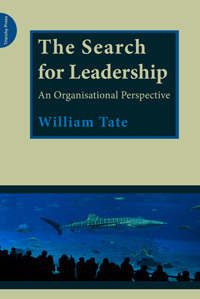 It challenges conventional wisdom about how and where to search for leadership improvement in organisations. It posits that improving leadership is best undertaken by viewing the subject from the organisation's end of the telescope. Leadership is thus seen as a property of the organisation, not simply of individual managers and leaders. The organisation itself (rather than individuals, HR, or trainers and developers) is seen to hold most of the cards when it comes to locating and expanding leadership improvement activity benefiting the organisation. In implementing the approach, the aim is to liberate, focus and apply leadership using progressive and distributed leadership values and approaches. Bill is a prolific author, having written over 40 books, articles, papers, case studies and toolkits. Of eight books of his own and several book chapters, his work on ‘Linking Development with Business’ appears in Leadership in Organizations (ed. 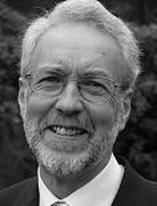 Professor John Storey, Routledge, 2010); and his The Search for Leadership: An Organisational Perspective (Triarchy Press, 2009) advances the systemic paradigm. He has also written extensively on the shadow dynamics of organisational life, entropy and systemic failure. Read Bill Tate's article Managing Leadership from a Systemic Perspective. Read Bill Tate's short piece on Relational Leadership. Visit Bill Tate's own website at The Institute for Systemic Leadership.